Organically responsible cultivation and the supply of natural fertilizers and soil enhancers are exactly what BAC stands for and has grown explosively over the last 10 years into the company that they are today. The organic products of BAC are designed in such a way that they go together in harmony with the soil life and often reinforce each other. 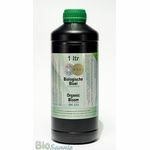 The BAC products offered here can be used in perfect harmony with the other Bio-Sannie products. 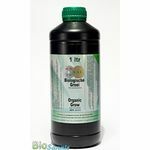 Bio-Sannie and BAC have been working together for over a decade to supply and guarantee the best organic products. 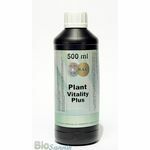 Bac organic plant nutrients are extremely suitable for smaller in- and outdoor growers, well-balanced NPK ratios in an organic coat that are easy to use. Easy does it when it comes to user convenience and the liquid organic plant nutrients from BAC are exactly that. 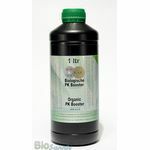 All organic plant nutrients from BAC have a quality mark which guarantees you are ensured of the highest quality and that no animal (by) products were used. Liquid organic fertilizers are most effective in use seeing as it is dissolved in water and the solution is easy to distribute over the soil so that the soil life can make optimum use of it. Specific attention has been paid to the composition of the liquid plant nutrients by incorporating sugars that act as fuel and catalyst for soil life. We are thus feeding the soil life and not the roots, so there will also be no shortages or, perhaps even worse, surpluses. This makes breeding with a soil life much easier than if it were grown with a mineral nutrient. Ideal for the beginning grower but loved by experienced growers. The deeper biology of organic breeding is difficult and scientists are still exploring. Although growing with organic products is easier to follow than if they were fed in a mineral way. The nutritional need is now regulated by the soil life instead of having to mix and measure yourself to even have an idea of what you are doing. Organic plant nutrients give your product a better taste and ensure a healthier, happier plant and a healthy plant always delivers a better harvest weight.